Plant a tree in memory of Carol A. Be the first to share your favorite memory, photo or story of Carol A.. This memorial page is dedicated for family, friends and future generations to celebrate the life of their loved one. 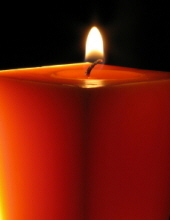 Carol A. Molard Richardson, 69, of Water Island, St. Thomas, died Monday, March 18, 2019, at her residence. Pending arrangements are under the care of Dan Hurley Home for Funerals and Cremation Center of St. Thomas, St. John, and St. Croix. To plant a tree in memory of Carol A. Molard Richardson, please visit our Tribute Store. "Email Address" would like to share the life celebration of Carol A. Molard Richardson. Click on the "link" to go to share a favorite memory or leave a condolence message for the family.